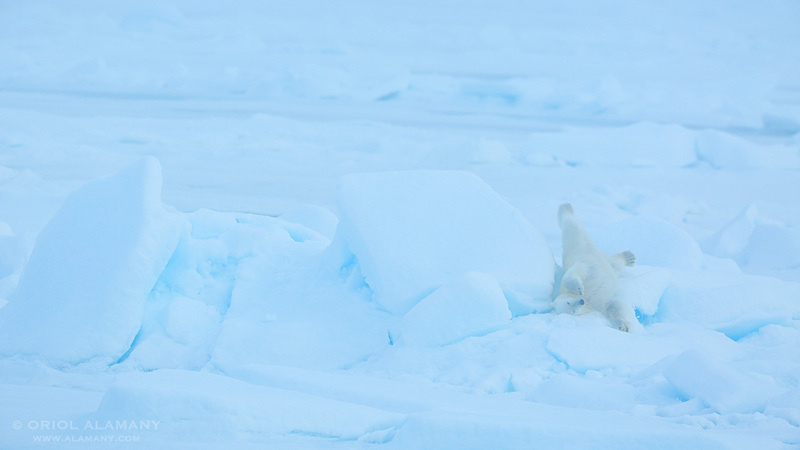 Polar Bear (Ursus maritimus) female playing in the sea ice at 81.5º North, on a misty night. Wonderful moment captured. It is not an usual thing to see an adult animal playing as if it were a cub.